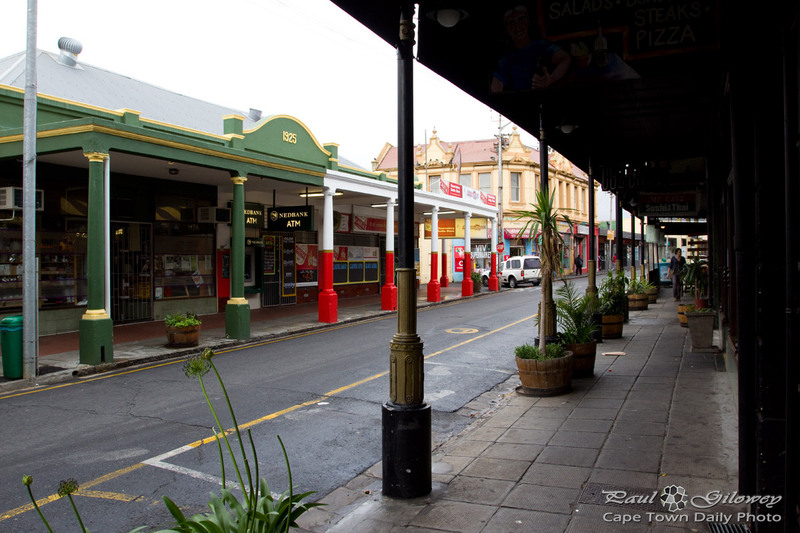 Posted in General and tagged de waterkant, green point, streets on Sunday, 29 March, 2015 by Paul. 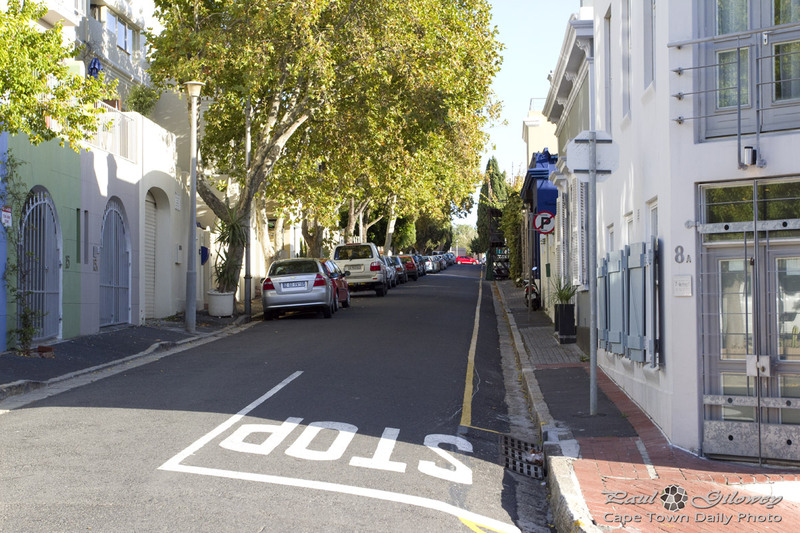 Posted in General and tagged streets on Thursday, 24 April, 2014 by Paul. 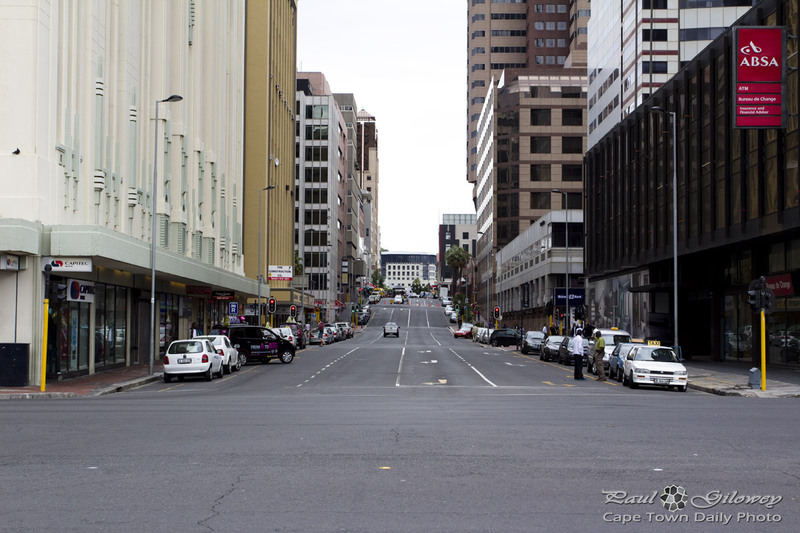 Posted in General and tagged pedestrians, streets on Friday, 14 March, 2014 by Paul. 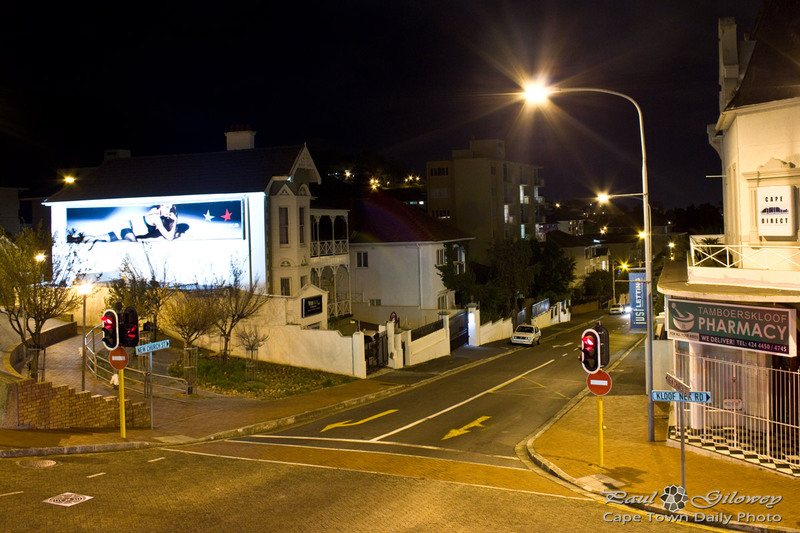 Posted in General and tagged streets on Thursday, 13 March, 2014 by Paul. 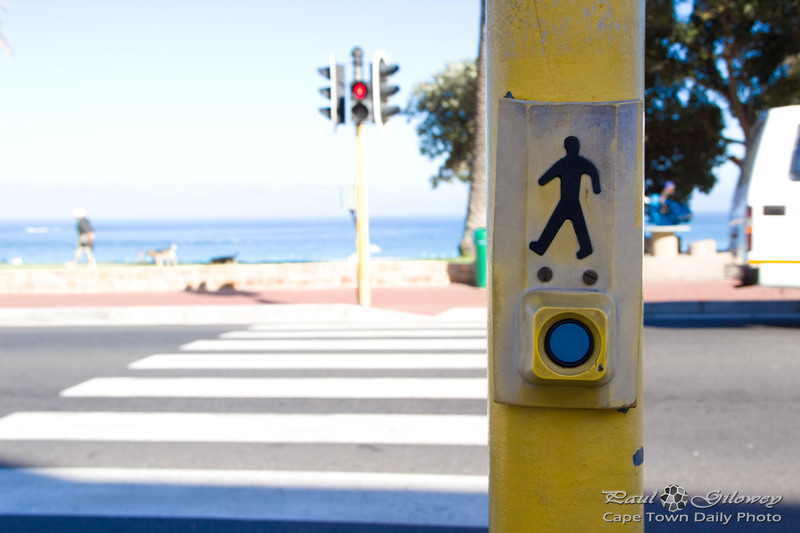 Posted in General and tagged city, sidewalks, streets on Monday, 10 February, 2014 by Paul. 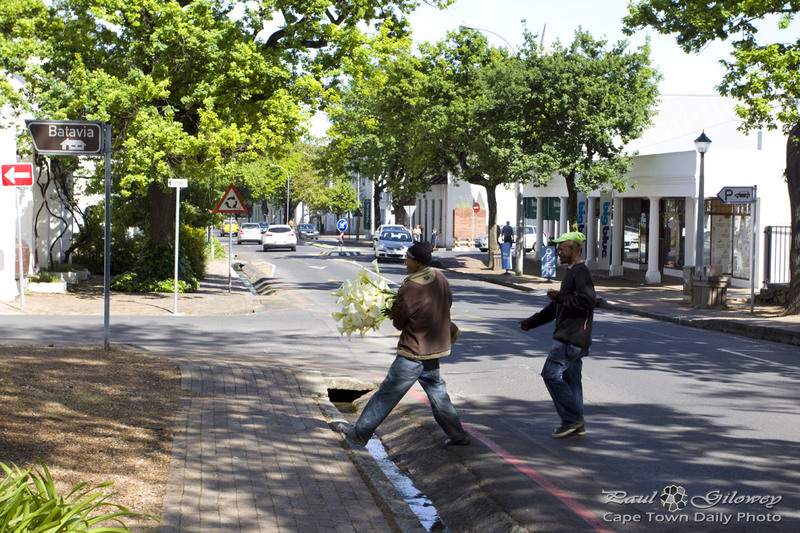 You wouldn't say that it's summer in Cape Town - it's been raining on and off each day for a few days now. 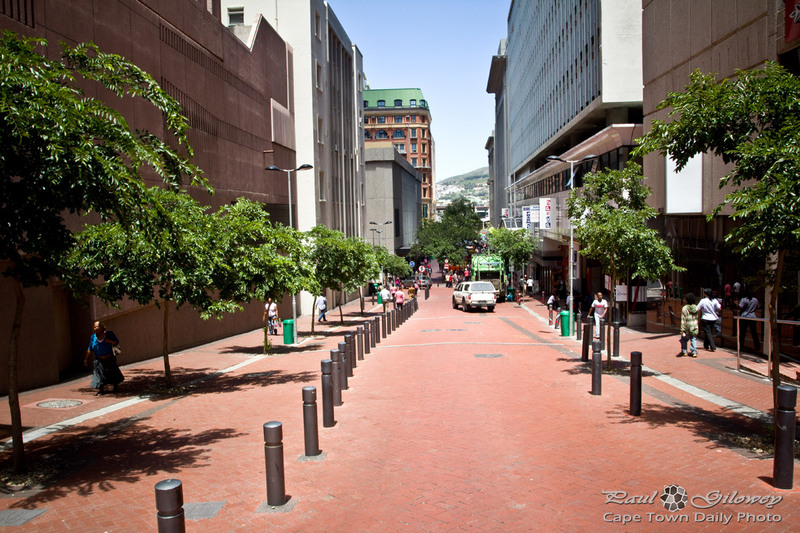 I pity folk who planned on a lovely summer holiday in Cape Town this week; what poor luck! 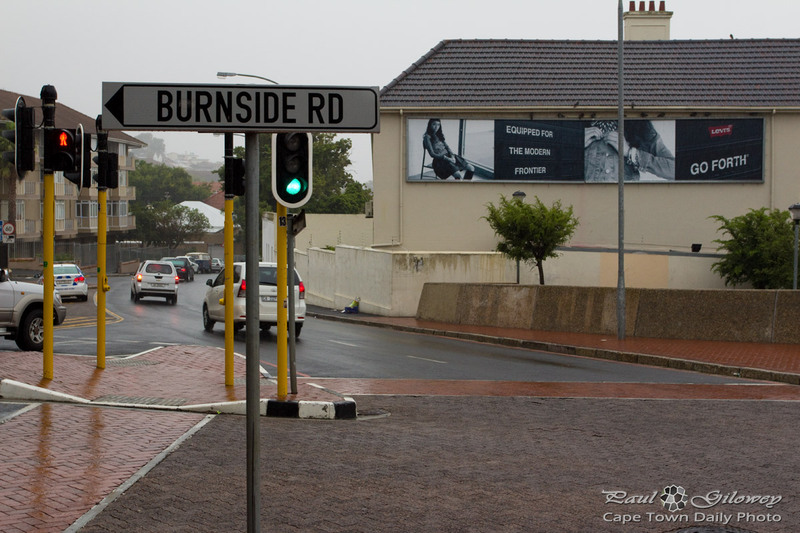 Posted in General and tagged rain, roads, streets on Wednesday, 8 January, 2014 by Paul. 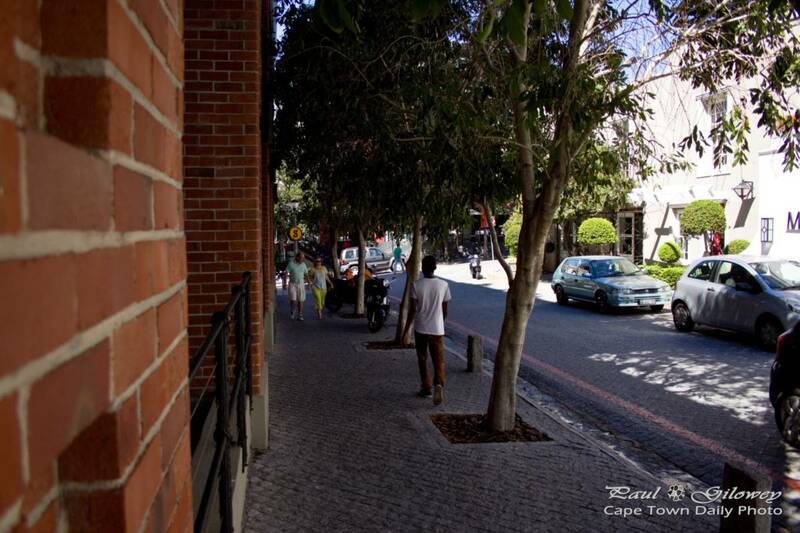 Posted in General and tagged city center, long street, streets on Saturday, 27 April, 2013 by Paul. As you can tell from this map, Philadelphia is a pretty tiny town, north of Cape Town, more or less 20km inland from our western coastline. It's a quaint little town, with a handful of shops, and one or two restaurants where you're can enjoy a lovely breakfast or lunch. 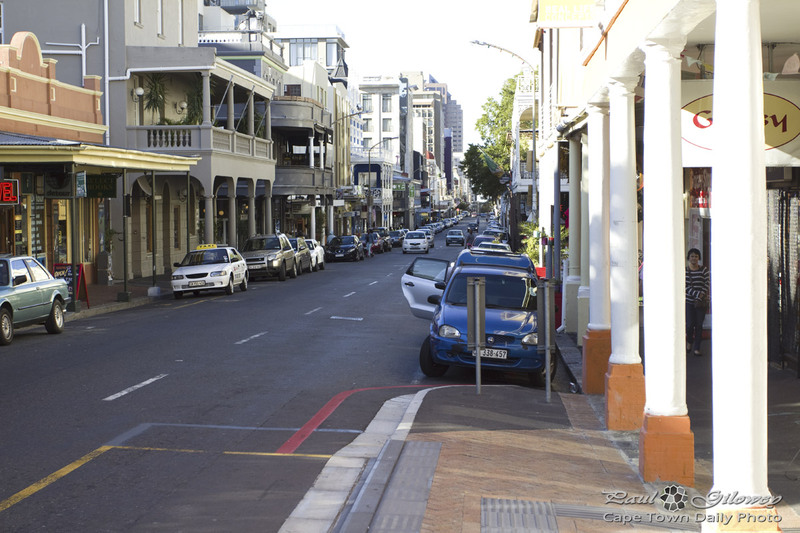 Besides for the quaint and beautifully-rural scenery, there's not a lot except for space and quiet in this town and it's probably worth a visit if you'll be staying in Cape Town for a few weeks. 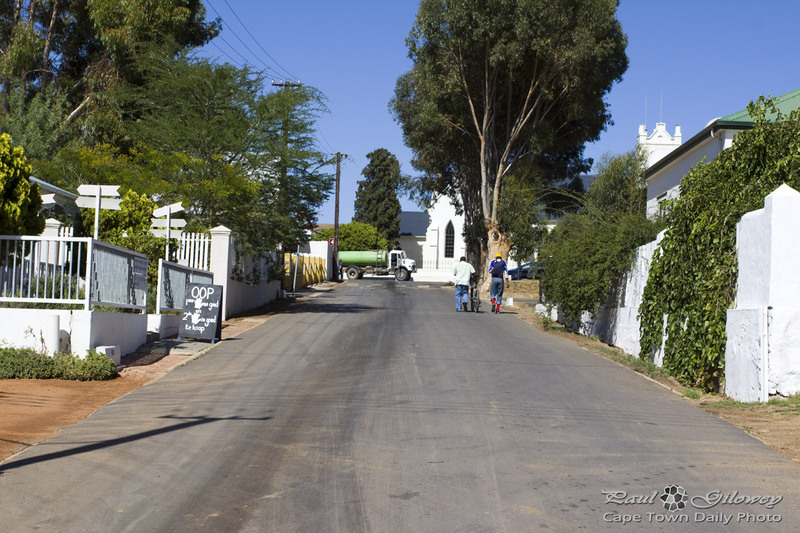 Posted in General and tagged rural, streets on Monday, 8 April, 2013 by Paul. 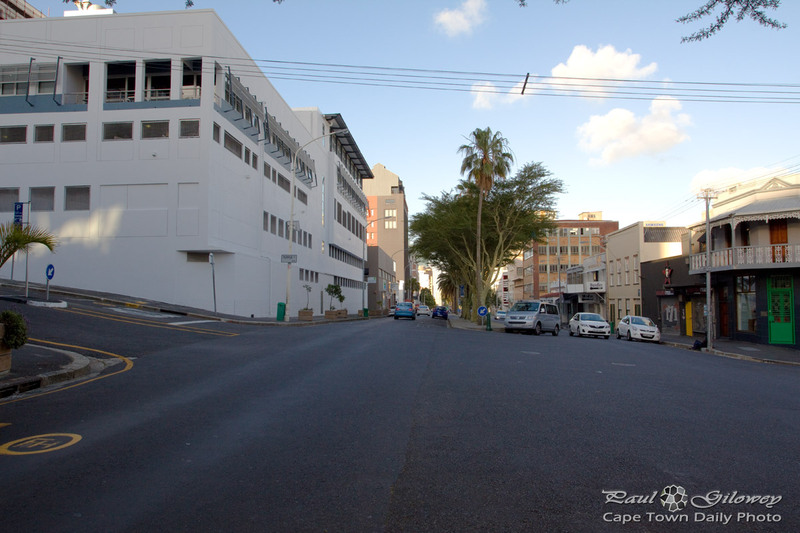 Posted in General and tagged green point, streets on Tuesday, 19 March, 2013 by Paul. 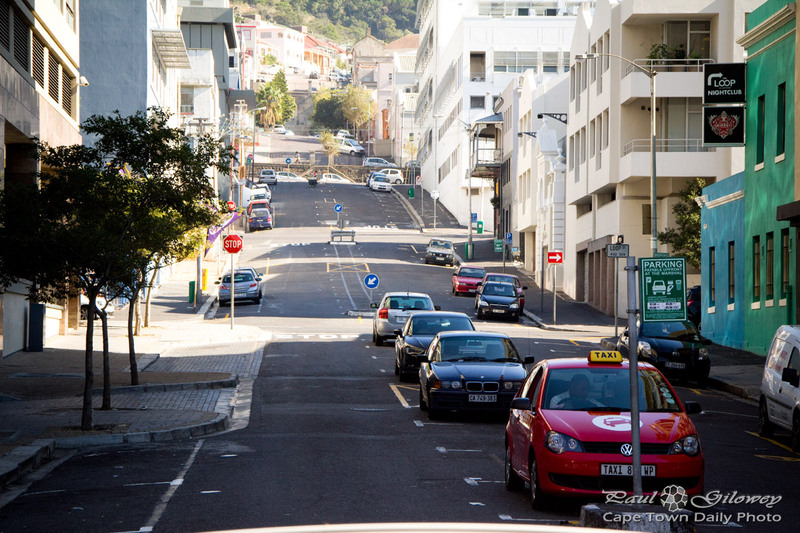 This road reminded me a little of San Francisco. Not that Cape Town is by any means as hilly, but still, I find the rises in the distance somewhat reminiscent of that great West Coast city. 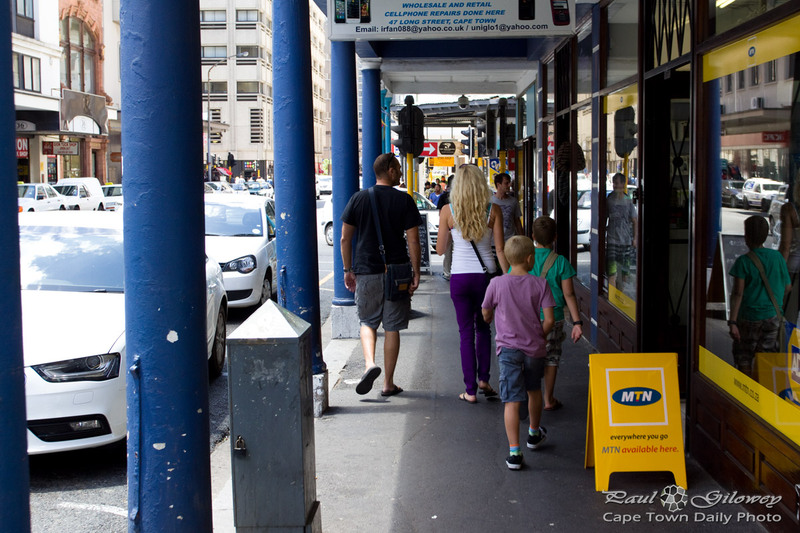 Posted in Street photography and tagged city, streets on Sunday, 17 February, 2013 by Paul. I took this photo from a balcony at Rafikis. Even though the breeze was cold on my back, I didn't mind, it was kinda cool having dinner while overlooking the city streets. It was the first time I've eaten at Rafikis, and I have to say the pizza wasn't bad at all. The bases were thin and crispy, just how I like them, and the Inferno chili pizza that I ordered was pretty tasty and not quite as hot as I'd imagined it may be. Posted in General and tagged night, restaurants, streets on Friday, 20 July, 2012 by Paul.